Counties Serviced – Butler County and Sedgwick County, Kansas. Cities Include – Andover, Augusta, Bentley, Benton, Clearwater, Derby, Goddard, Greenwich, Haysville, Kechi, Maize, Mcconnell Afb, Mount Hope, Rose Hill, Sedgwick, Valley Center, Viola, And Wichita, KS. POOP 911 of the greater Wichita Kansas is here to take care of all of your dog pooper scoooper and pet waste clean up needs! No more dirty work for you and your family. Have kids? Worried about what they might be tracking in? Never fear POOP 911 Wichita Kansas is here. If your dog poops it we will scoop it. POOP 911 Wichita Kansas is here to help and give you back valuable time you have to be doing other things. We offer weekly, bi-weekly visits and will build a custom schedule and plan to meet your households needs. We also offer hosing down of your deck or patio and deodorizing service so your yard smells as clean as before your favorite four legged furry friend came to live with you. Also we don’t bill in advance! We are the ONLY pooper scooper company that bills after each service visit is completed on that same day. If we aren’t able to scoop due to inclement weather you don’t get billed. It’s as simple as that! So call us at 1-877-POOP-911 today and come home to a clean green yard. We guarantee your satisfaction or your next scoop is on us absolutely FREE! SIGNUP AND SCHEDULE SERVICE IN WICHITA KANSAS ONLINE IN LESS THAN 3 MINUTES! Truly Affordable Pet Waste Removal Service covering all areas North of the river in Platte and Clay Counties. Jackson County Missouri to include Brookside and Waldo Areas. Johnson County Kansas to include Mission Hills, Leawood, Prairie Village, Westwood, Roeland Park, Fairway and Mission. If you don't find your area, please call to find out if we are currently in your area. We are the oldest and most trusted poop scooping service in the Kansas City Metro area, we've been serving our customers faithfully for over 10 years. 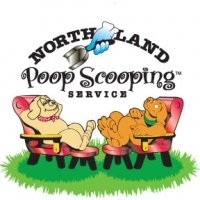 Apartment complex managers/Property Management Companies: Northland Poop Scooping provides commercial service to the Greater Kansas City Area including Kansas and Missouri. We currently work with some of the largest Property Management Companies in the area and would like to give your company a bid also. Northland Poop Scooping carries General Liability and Workers Compensation Insurance, certificates available upon demand. The Poo Squad offers dog and cat waste removal service in Manhattan KS and surrounding communities. We offer dog waste pickup service for ALL commercial and residential properties. After we pick up all of the waste, we also offer a service to sanitize your yard to help kill off all of the bacteria left behind. 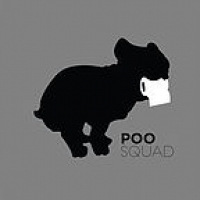 The Poo Squad also offers a litter box service. We will provide you with a brand new litter box when you start your service and stop by at the frequency of your choice to maintain the litter box and remove waste. We will replace the entire litter box and the litter inside on a monthly basis. The used box will be taken back to our shop and sanitized and refilled to be used on our return visit. All services can be provided on a weekly to monthly basis. 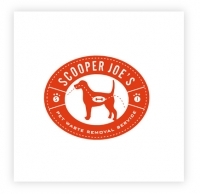 Scooper Joe’s can alleviate the burden of cleaning up after your dog(s) and can help provide a clean and healthy environment for your family, friends, and pets. BUT WHAT MAKES US DIFFERENT? Our scoopers drive marked vehicles and wear uniforms so they are easily identified while on your property. In most cases, the same scooper will scoop your yard every service. Your scooper will double check all gates and leave a tag noting that your yard has been scooped. We patrol your yard in a thorough pattern and always double check our work for quality scooping. We also conduct random field audits for consistently great service. We disinfect our tools after every service to prevent the spread of any bacteria or parasites. We remove all waste and dispose of it properly. We never require you to sign a contract. You are free to cancel service at any time. We are fully licensed and insured. Pet Scooper is an affordable niche type pet care service that offers customers once, twice or every other week cleaning. Our customers are completely relieved from the unsavoury chore of cleaning up dog waste from their backyards. We take the precaution to disinfect and sanitize our tools and shoes after cleaning each yard to help eliminate the possible spreading of diseases between animals. All animal waste is bagged and taken with us so the smell leaves your property. There are no contracts to sign. Easy to pay with monthly statements. Pet Scooper service also offers larger scale mantenance to Apartment Communities, Duplexes, HOA, dog parks and city municipal parks as a very serious solution to your dog waste poo-lution problem. Pet Scooper will work with you to develop the perfect plan to fit your specific needs and budget. In Kansas, Brookside Pet Concierge offers a myriad of complete pet care services for Johnson County. Dog care support as well as other animal services including pet waste removal, pet sitting, dog walking, pet taxi service and alot more. Brookside Pet Concierge is a licensed, bonded and insured family owned pet care company. They support the ENTIRE Kansas Metro area. Adrian Township Banner Township Cedar Township Circleville Delia Denison Grant Township Holton Hoyt Mayetta Netawaka Soldier Straight Creek Township Washington Township Whiting. Let us walk, sit, or even taxi your pet! Brookside Pet Concierge brings pet care services to your home. Whether you need pet sitting, dog walking, pet taxi, crate training, or scooping, we can tailor our services to your needs. We love what we do and our goal is to make life with your pet easier. 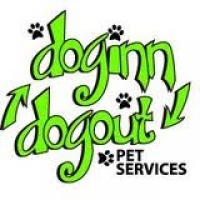 The Scoop’n Doo Co. is an independently owned and operated pet care cleaning business started back in 1992 in Wichita, KS. We mainly service Wichita dog owners in an area which includes the surrounding cities of Kansas State. We currently service hundreds of customers and hope to increase this number as our company has continued its steady growth due to great pricing and matched customer centered service. Our focus is to provide professional and friendly service for your dog(s) and family. We understand that your dog(s) are huge parts of your family. We hope you will allow us to consider your dog(s) part of our family. Canine waste removal services for your home or commercial property can be set up by contacting us at 316.262-3311. We offer our customers the piece of mind of knowing that their pet waste is being maintained on a regular basis. Also know you are providing your dog(s) with the clean yard they deserve that your family will thank you for. The best part about our unique pet care service is, you don't have to worry about whose turn it is to clean the yard, saves you and your family time and eliminates those family arguments over whose turn it is to clean the yard. We have a re “doo” guarantee! Try our service for the first time without risk. Waste Removal - Keeps the yard free from disease and flies. Diseases include Giardiasis, Parvovirus (can linger in your yard for SEVEN years! ), Hookworm and Salmonellosis. Also Toxocariasis, Q Fever, Lung Fluke Disease, Leihmaniasis, Dog Tapeworm, and Broad Tapeworm. Organisms causing these diseases move from the dog waste into the environment. They can be carried by flies and other insects, wind and dust, your neighborhood meter reader, or balls and toys that come into contact with dog waste. The germs can be ingested by people and begin to grow in the body, where infection continues to spread. There are other hazards to leaving dog waste behind; smell and the infection of water and soil for years. The entire community will benefit when dog waste is picked up and disposed of properly. Greater Kansas City Area Johnson County Cass County Jackson County Wyandotte County and Clay County, Kansas State. Residential & Commercial Pet Waste Removal Solutions. Also, Pet Waste Stations & Dog Poop Bags. Kansas City´s Premier Pooper Scooper Service. Offering professional scooping technicians to come to your commercial property on a scheduled routine basis to address and remove pet waste from common areas and collect and replace waste bags from receptacles that we can provide your property. Our company has several years experience building long-term relationships with not only residential homeowners, but also apartments & Home Owners Associations. Couteous, responsible service your family home & commercial property will come to depend on. 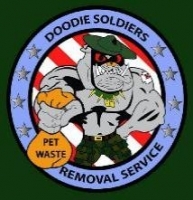 The Doodie Soldiers are a family owned and operated pet waste removal service with a focus on prompt reliable service, excellent customer care, and a drive to do our part in keeping our community healthy and clean for the next generation. The Doodie Soldiers, at your request, will arrive at your home on a weekly, every other week, monthly, or one time basis based on your schedule. We will pick up where your dog left off removing all waste from your property. All we leave behind is a clean yard for the entire family to enjoy. With our services your only backyard worry will be when to flip the burgers, brats, and chicken. You deserve to be able to go outdoors without the stress of having to do constant yard work!! Get your life back starting today!! Call Us @ 913-226-2050. Shawnee Shawnee Mission and Stanley, KS pet poop cleaning services. Scoopy the Poo is dedicated to making life easier for dogs and their owners by removing "unpleasant accumulation of waste" so everyone can enjoy a clean yard throughout the year. We believe in providing service that surpasses our clients' expectations through affordable pricing, dependability, communication, and commitment to 100% guaranteed satisfaction of our services. Our overall goal is to build a strong relationship with our clients, their dogs, and our community. Pamper Your Pet. Dogs are a big part of our lives and to reward them with a clean yard is one of the best things we can do for them. Not to mention, your neighbors and guest will be appreciative as well. 1- We'll take care of your entire yard of "doody" on a prescheduled, routine basis so you never have to scoop it again. 2- The Call of Doody will visit your home or commercial property monthly, weekly or bi weekly. 3- There are no contracts at all. Start or stop your dogs doody scooper service with a single call or email. 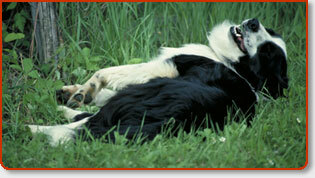 4- We access your lawn or other property in a way that insures your dog will remain in your yard. 5- We scoop all the dog doody your dog leaves behind in a professional manner and typically leave the dog doody in your trash....unless haul-away service is selected. 6- We utilize anti-microbial solutions to clean our equipment. Thes techniques deter potential cross contamination. 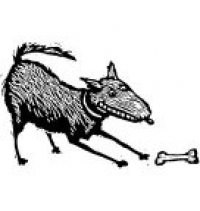 7- We serve as a second pair of eyes: We'll notify you if your dogs doody contains objects they have eaten, the possible presence of worms or loose stools. Also if while scooping we notice that your dog seems withdrawn or seemingly doesn't feel or look well we will also notify you. 8- Please keep an eye on us for the first few weeks to guarantee we have not overlooked your dogs favorite doody places. WE ARE KANSAS CITY'S ONLY ECO-FRIENDLY PET WASTE REMOVAL SERVICE! At Eco Scoopers, we are concerned about dog waste harming your family and the environment in which you reside and family relaxes in. Pet waste can potentially spread diseases. There's always the possibility it could contain many bacteria and parasites which can be transmitted to you and your children. As such, after cleaning each yard, the Eco Scooper Cleaning Crew disinfect all of our tools so that we do not transmit germs from one resident customer's to next one. Dog waste is also harming the environment by polluting our water supplies. According to the U.S. Geological Survey, 25% of the bacteria in our waterways is associated with pet waste! Believe it. Ecoscoopers wants to clean your yard to keep this from happening. Click here for other ways on how we're going green. With EcoScoopers, there are no contracts to sign and we are fully Bonded and Insured! Feeling like you’re up to your ankles in dog poop each week without an escape route? Now that we have over 400+ professional dog pooper scooper services throughout the country making their services available to dog owners like you, no longer do you need to feel like you’re playing pooper scooper each week. Let a professional poop pickup company take care of the brown messy stuff lurking in your backyard so you can spend your free time engaged in the more pleasant aspects of life. If you have been looking for this type of Dog Waste Removal Service in your Kansas state neighborhood, look no further. Well, OK so I don’t have a lot of companies listed here yet simply because this is still somewhat new to some areas in the US. Let not your heart be troubled. If your city is not currently being serviced by a pooper scooper company, I’m sure their will be one that will take root in the coming years as this pet service becomes as sought after as lawn maintenance. No I am not kidding you. Where these small companies have cropped up in counties throughout the US (and even abroad), they have been welcomed with open arms and wagging tales. Several of these Kansas pooper scoopers have even received notable mention in local & national radio and newspaper coverage such as The Wall Street Journal. On the Internet alone, you’ll probably find close to a 100 articles listing a multitude of virtues that pooper scoopers offer dog owners. Worth noting, one of the strongest growing segments of the dog waste removal industry in the last couple years can be attributed to property managers. So even if you live in a condo or apartment complex that has more than its share of dog poop build up in the “common areas”, the good news is that these companies are now making their services available to you as well. You may first want to talk to your manager about your property’s dog waste problem and introduce them to the idea. Or simply let them know that there are several websites here on the Internet that list Kansas pooper scooper and pet waste removal companies that can help your property maintain a dog poop free living environment.